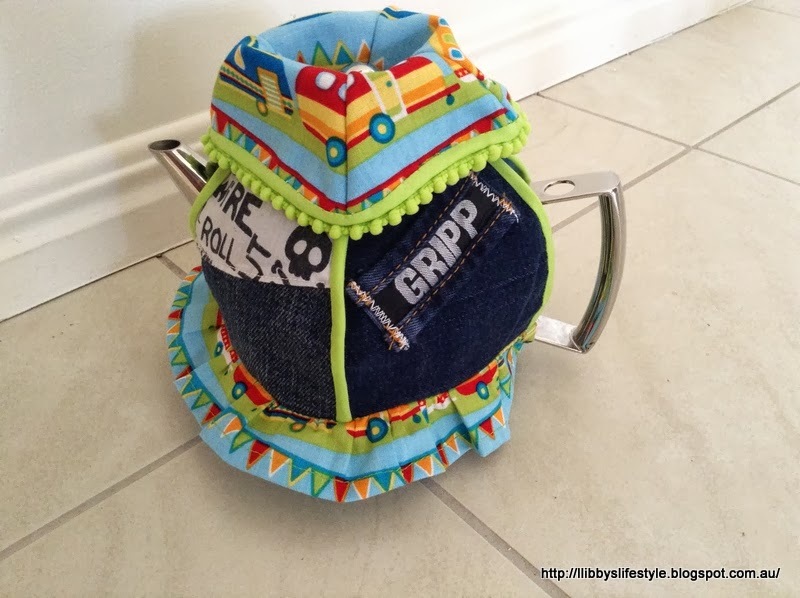 Tea cozy challenge?!? | Libby's Lifestyle. Nobody uses tea cozies these days. NOBODY! So, why am I making one for the challenge at the local RSL market? I keep telling myself it's all about the challenge. It's not because tea cozies are functional in any way. Tea left to brew under a tea cozy is bitter and horrible; everyone knows that. Yes, real, loose leaf tea tastes a thousand times more wonderful than tea bags and, yes, I do use a teapot. Tea bags are anathema to me. (Why does "anathema" sound weird without "an" in front of it??) Sometimes, rarely, tea bags make their way into my cup. So, Karen, my friend, sends me an email about the RSL challenge. "Why don't we enter?" she asks. I can think of a thousand reasons why we shouldn't, but think, "Okay, why not?!?" My nanna loved tea cozies and I'm sure, if she were here today, she would approve. 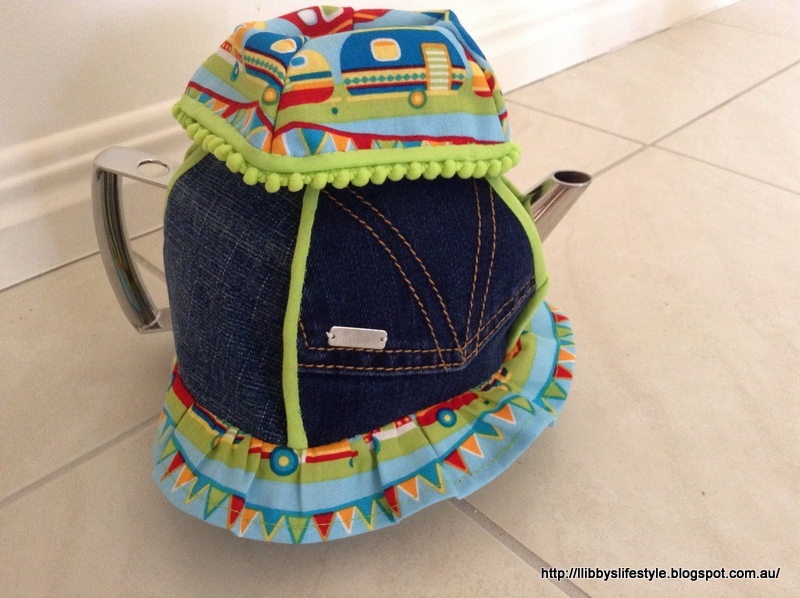 It is a VERY nanna-y thing to do ... make tea cozies. My sister and I both love lady beetles. How cool is this one?!? I thought this little bee hive was very cute. A pineapple tea cozy. My friend, Linda, is totally obsessed with pineapples. Pineapples, pineapples, pineapples! She just loves pineapples and would so love this. My niece has the cutest retro caravan called Marigold. It seems to be a genetic thing to name inanimate objects ... robotic vacuum cleaners, caravans. I've just recently sent Marigold a little present inspired by things I found on Pinterest so, maybe, I'll make a tea cozy with Marigold in mind. A couple of restless night's sleep, the abysmal failure of Prototype 1 and a final concept is born. (They say birth is never easy; whoever "they" are.) I draw up a pattern on paper and Prototype 2 is made from calico. My sister will be impressed; I rarely do a dry run in calico. I prefer to fail as I go on the real thing. 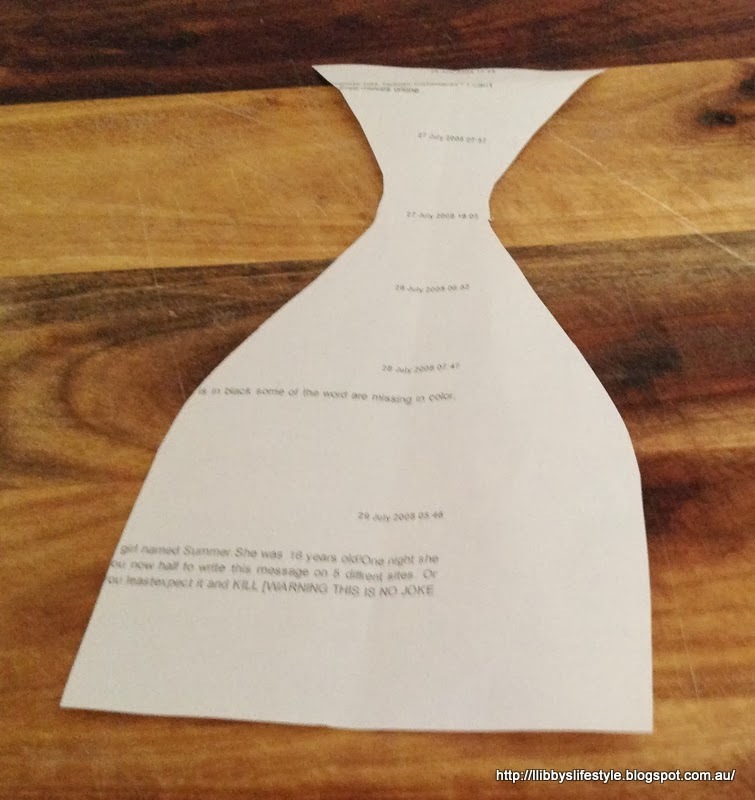 Paper pattern , not very impressive. Calico prototype, equally not very impressive. Marigold's family is a little bit retro, a little bit grunge, a little bit cute. I've tried to make my tea cozy reflect all these wonderful attributes that we so love about this sweet little caravan's family. And hence, with Marigold's family in mind, Tea with Marigold came to draw her first breath. It wasn't an easy birth. "Bloody tea cozy!" was heard to echo through the halls of our house on a number of occasions; but after all the trauma and perseverance, I did finally finish my tea cozy. Her best side. Don't you love the skull? I admit, not your traditional tea cozy, but, you have to admit she is cute! Poor thing will never be put to her designed use, but she will look pretty spectacular ... somewhere ... on a shelf ... maybe. So, Tea with Marigold is off to the competition. Wish her luck. I don't think she's a winner but she's certainly different and reflects my niece's family very well I think. Got any weird tea cozies lurking in your cupboards? Out and about, window shopping. I confess; I'm an apron wearer.